Is outplacement the new must have employee benefit? Is your performance management system effective ? Performance Management Systems - are yours relevant? Rejuvenating your career plan in 2017? How current are your recruitment and talent strategies ? Les Mills - Winner of the Westpac Supreme Business Excellence Award. Who you going to consult? Are You Still Using a One Dimensional Approach? We are proud to partner with some of New Zealand’s most innovative and successful organisations where sustainable business practices and sustainable careers are important. The work we do helps promote their positive business cultures and rewarding work environments. We congratulate one such company, Villa Maria Estate on their success at the Sustainable Business Network Awards where they won their category and the overall Sustainable Business award. View the article below, or view the original post on Villa Maria's website click here. Villa Maria Estate was last night named Supreme Winner at the New Zealand Sustainable Business Network Awards held at The Cloud in Auckland’s Viaduct Harbour; an exciting achievement recognising and honouring Villa Maria’s wide ranging commitment to sustainable practices and environmental responsibility. The company gained eligibility to be a national finalist after winning Northern Sustainable Business of the Year at the regional awards in October. Early in the night Villa Maria was named the winner in the “Large Corporate Trailblazer” category, for businesses with more than 100 employees that have been implementing sustainability initiatives for more than two years. The premium wine producer was thrilled to take out the award, especially against other tough contenders in the category. Category winners then competed for the overall title of Supreme Winner, an accolade Villa Maria was ecstatic to be presented with. Villa Maria’s Executive Director Fabian Yukich was delighted to accept the award last night, thanking staff members for their efforts and stating his support for the Sustainable Business Network, “We started on this journey many years ago, simply because it is the right thing to do, but now more and more our customers in export markets expect us to have a strong sustainability focus.” Yukich has been a driving force behind much of the innovation in this area at Villa Maria for the last 14 years, including spearheading CEMARS implementation across the business to measure and reduce carbon emissions. He was recently elected as a Director for New Zealand Winegrowers and also sits on the Sustainability Committee for them. Founder and Managing Director Sir George Fistonich, who is also a founding member of New Zealand sustainable business organisation Pure Advantage, is a strong believer in doing what’s right, and as a 100% family owned business that definitely includes preserving the environment and resources for the next generation. He hopes that other companies will realise the importance of this, “I know it’s a hard battle to get people to realise the absolute importance of pursuing sustainability, but it’s just so crucial for New Zealand’s future”. 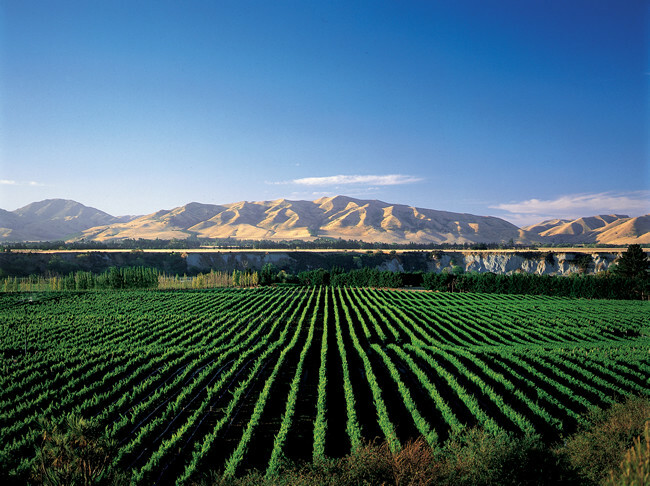 Villa Maria has been a pioneering force among New Zealand wine producers, starting to implement green initiatives almost 17 years ago long before environmentalism was top of mind among the general public. Villa Maria was this year honoured for its commitment to sustainability when Yukich was presented with the Supreme Green Ribbon Award at Parliament. The Supreme Award tonight is a fitting reward for a company that has such a long track record of working towards sustainability; and capped off a magnificent 50th vintage year for New Zealand’s most awarded winery. The NZI Sustainable Business Network Awards, now in their ninth year, are the pre-eminent sustainability awards in New Zealand.